It is expected that the financial close for Window 4 projects will occur at the end of this year, with commercial operations starting from November 2016. 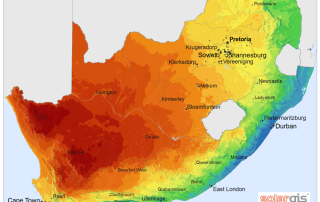 The concentrated solar power (CSP) industry in South Africa has called for clarity on connection to the power grid, as well as certainty about timeframes. KaXu Solar One concentrated solar power (CSP) plant in Pofadder, South Africa has become the first in Sub-Saharan Africa to enter operation. KaXu Solar One is the first Concentrated Solar Power (CSP) plant in commercial operation in South Africa. KaXu Solar One is South Africa’s first concentrated solar power plant using parabolic trough technology. Kaxu Solar One opened its doors to residents of the Pofadder community as well as anyone else interested in visiting the plant.